Part of the Restaurant Tak Fok Hong Kong Seafood chain. Go straight towards Kepong after exit from the LDP (Lebuhraya Damanasara-Puchong) Highway.Along the way, you be passing by industrial area where a few factories located.At the third traffic light, turn left and continue onto Persiaran Perdana where there's McDonald's and Shell petrol station at your right, follow by Star Village & Papparich.Keep going till the end of the road and turn right before a residential apartment and take second right. The restaurant is just opposite a big Berry's Bakery shop. 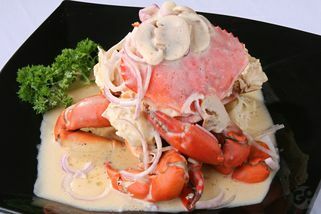 Do you always find yourself with a craving for crabs, or are you a fan of crab dishes? 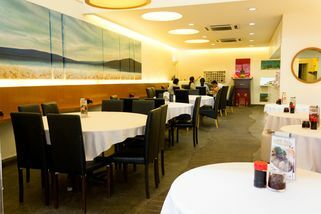 If so, you may already be familiar with Restaurant Tak Fok Hong Kong Seafood, which serves fresh and affordable seafood. 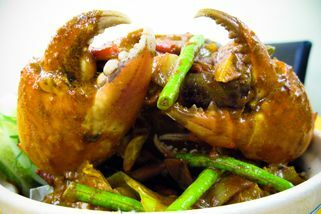 Serving the cheapest crabs and lobsters in town, this place offers more than 10 cooking styles for crab alone to satisfy every palate. 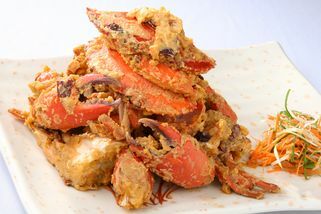 The must-try dishes are Salted Eggs Fried Crabs and Butter Cheese Crabs. 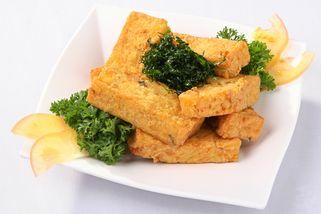 Other signature dishes include Curry Coconut Prawn, Roasted Long Bone Pork, Salt and Pepper Green Beans and Home Style Tofu for those who also enjoy their veggies! 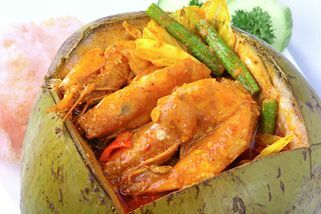 Restaurant Tak Fok Hong Kong Seafood in Aman Puri Kepong is the main branch that has been operating since 1992. Although quite old, the restaurant still maintains a clean, bright and cosy environment. This place might not be able to fit a big crowd of people especially during lunch time – they have about 50 seats - but they will spread their tables by the roadside in the evening. For those serious about their crabs, this is when you can get your hands dirty and experience the real way of eating crabs! 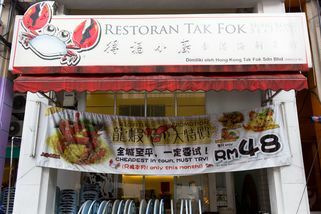 Restaurant Tak Fok Hong Kong Seafood @ Kepong has no review yet. Submit a review!